PST Merge Software allows you to merge the PST Files and delete the duplicate files simultaneously thus saving you the exta time and effort required to sort out the files. If you do not want to merge the deleted files into the resultant merged PST File , then you can simply exclude the deleted items folder. To perform the merge process in bulk , you can choose "Add Folder" option and select multiple files at once to merge them into a siungle PST File. Put Away The Mess Caused by Too Many PST Files! Put Away The Mess Caused by Too Many PST Files! The problem of difficult Outlook management and intricate PST files handling is mostly an outcome of the collection of an enormous number of PST files in your Outlook mailbox. This mess created by too many PST files can be thrown away and solved if you join PST files into single PST file that will hold all the data of those multiple PST files. Single file is no doubt easier and more comfortable to work with. 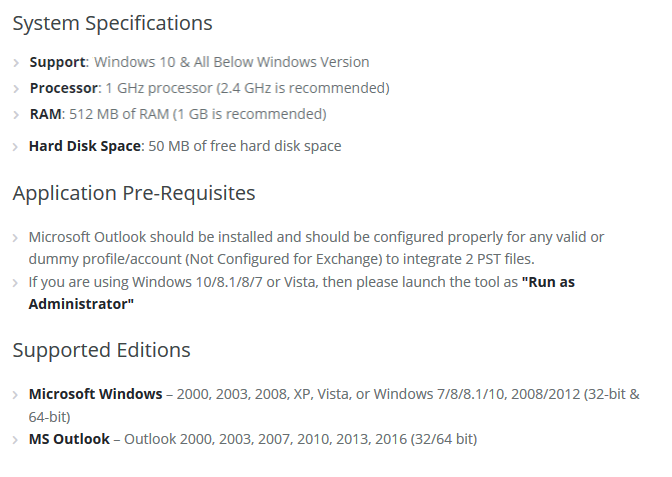 Merge Outlook PST Files: Using a third-party PST Merger tool like PST Merge software to merge Outlook PST file is an appropriate method for sure. Professional help for this purpose in the form of third-party Outlook file merge tool rules out the possibility of data damage or deletion or corruption which mostly happens when you use other methods of merging PST files. Also, for further safety of your and security of your system, you must invest in a safe, reliable, and result-oriented and tool like PST Merge software. Is join PST different from Merge PST? Yes , Join PST joins all the PST files into one with a separate folder for each PST.However,Merge PST all common folders and emails are merged in the respective folder they belong to. How many files can be merged at a time ? Any number of files can be merged at a time either by adding individually or in bulk as a folder of the PST files that are to be merged. Can i skip the duplicates while merging the PST files? Yes , you have a "Remove Duplicates" option that will remove the duplicates while merging. What is the format of the resultant PST File? The merged PST File is of the UNICODE Format that can be opened in any Outlook Version. It was becoming di8fficult for me to maintain a multiple number of PST Files that I had to keep separatel in order to sort them out which was a very big problem. The PST Merge Software helped me to merge all the required files into a single PST file thus removing the hassle and issue of duplicate files. It was infuriating for me to maintain the large number of PST Files. I had to keep a check on their performance and maintain their sizes which had became a difficult task for me. 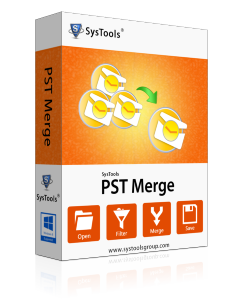 The PST Merge Software helped me to merge all the files into a single PST file providing an eay management option.